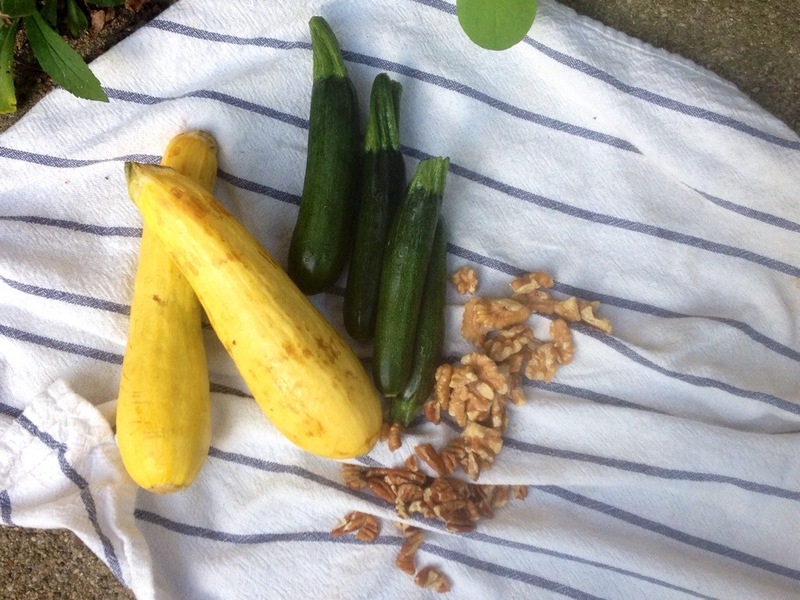 The China Study All-Star Collection Cookbook Review + Zucchini & Summer Squash Muffins – .rebel grrrl living. I am delighted to be bringing you a review of The China Study All-Star Collection Cookbook: Whole Food, Plant-Based Recipes From Your Favorite Vegan Chefs by LeAnne Campbell. 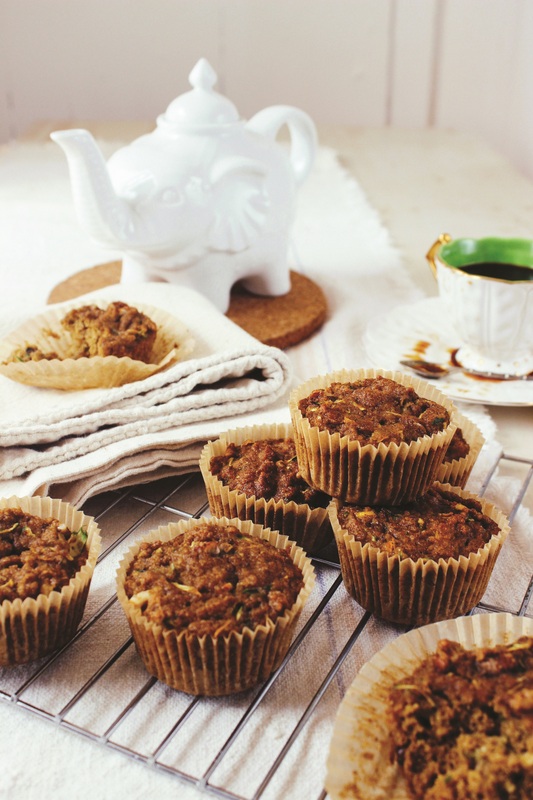 I was asked to review a copy of the book and also was offered the chance to make and share the recipe for these incredible Zucchini & Summer Squash Muffins. I’ll get to the recipe soon, but first, some more about the book. The ethos behind this cookbook is right up my alley, and is just as the title suggests: whole food, plant-based, and follows right in line with the scientific studies revealed in The China Study. (TLDR; Plant-based diets are excellent for your health!). The book features a stellar line-up of contributors, including big names in vegan cooking and blogging, like: Lindsay S. Nixon, Dreena Burton, Heather Crosby, Ani Phyo, and Christy Morgan. All of the recipes are vegan, free from refined-sugars, and nearly all of them are gluten-free. The book is neatly organized in eight sections: Breads & Muffins; Breakfast Dishes; Appetizers & Salads; Soups & Chilis; Burgers, Sandwiches, & Tacos; Entrees; Side Dishes; and Desserts. I made sure to make at least one thing from each section, and I was never disappointed with my results. For breakfast one day, I made Chef AJ’s Overnight Muesli. I love overnight oats, and the apple-centric spin on this was delicious. For dinner one night, we made Laura Theodore’s Twice-Baked Potatoes. These were a delicious treat. I haven’t had a twice-baked potato since I was a kid, and finding a recipe that used entirely whole food healthy ingredients to recreate that childhood staple was awesome. I was having a major cookie craving one night (file under: completely unsurprising), so I made a batch of the Coconut Pillows. They were sweet and nutty. A slight crisp on the outside and perfectly fluffy on the inside. And then there were the muffins…. Recipe from The China Study All-Star Collection. Using a grater or food processor, shred zucchini and summer squash. Place onto a clean cloth towel and sprinkle veggies with a teeny pinch of salt. After 2 minutes, cover, roll up, and press to remove excess water from veggies. Set aside. 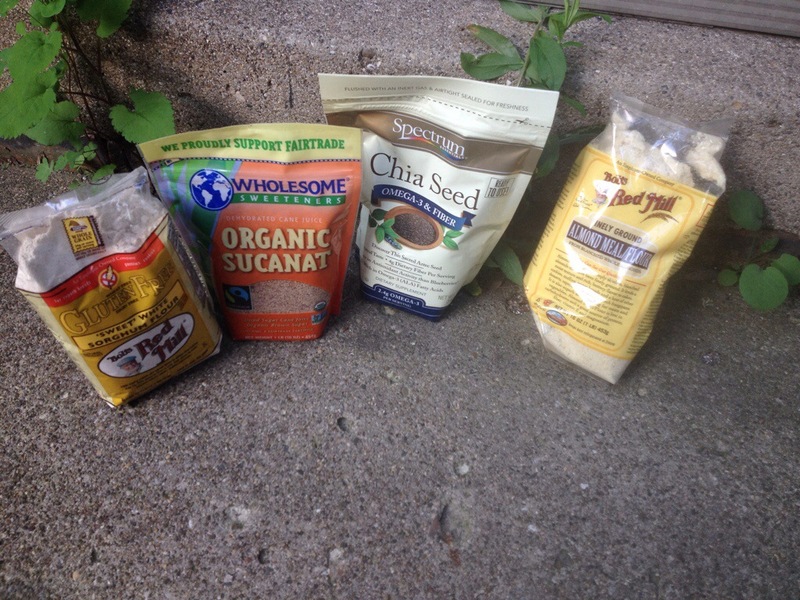 Place wet ingredients into the blender but let them set for 5 minutes so chia can plump. After 5 minutes, blend until smooth. Place liners into cupcake tins. Mix together wet and dry ingredients. Fold in zucchini, squash, and nuts. Quickly spoon batter into liners until they are full and place in oven. Bake for 25 minutes. Remove from oven and allow muffins to cool in the tin. If you can’t find unbleached parchment liners, simply cut twelve 4 × 4 squares of unbleached parchment paper. Press into muffin compartment to create homemade tulip liners—filling them with batter will help them stay in place. With gluten-free, nondairy baking, it’s very important to keep the wet and dry ingredients separate until you are ready to bake. Once mixed, a chemical reaction begins between leavening ingredients and acids to “fluff” the batter. When your muffin tins are lined, the oven is preheated, and you have a spoon ready and a silicone spatula on-hand for folding, then you are ready to mix up wet and dry ingredients. Once muffins are in the oven, do not open the oven door until the timer goes off. This kind of baking is sensitive and it’s important to keep the temperature consistent. Try baking muffins in mini muffin tins for bite-size goodies. Just adjust the baking time to 15 minutes. For extra flavor, toast pecans and walnuts for 5–7 minutes in an oven heated to 350°F before folding into batter. If I could put summer and comfort and into a muffin, they would taste like this. These muffins were vegan and gluten-free, used only Sucanat as a sweetener, and were completely oil-free. What was particularly incredible about them, though, was how moist they turned out! So often healthy baked goods (especially ones that are both vegan and gluten-free, and definitely ones that are oil-free) have a tendency to be so dry. Not these muffins. Thanks to the moisture in the summer squash and zucchini, they practically melt in your mouth. The foreword in the book is written by T. Colin Campbell, author of The China Study, and it provides an excellent introduction to how these kinds of recipes “demonstrate the ease and pleasure of using a plant-based diet,” and how they can inspire society to “embrace this proven approach to optimal health” (p. 10). I highly recommend this book for newbie vegans and old-hands alike. The recipes are fresh and delicious, the pictures are gorgeous, and everything I ate left me feeling energized and healthful. If you don’t get yourself a copy, I hope that you’ll at least enjoy this muffin recipe! (What a great excuse to get to your farmer’s market this weekend, right? Get those summer squash!). I received a complimentary copy of the cookbook from the publishers, but all opinions are my own and I was not further compensated. I work at Natures Fare (health food store) in Kelowna, Canada – I am going to forward this email to the woman in charge of ordering books and see if she can bring it in for us. lots of love to you, sister!